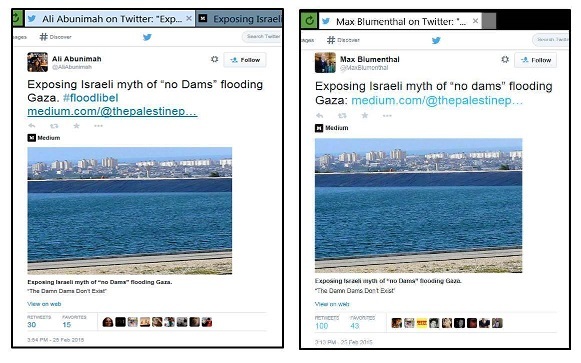 Since both Abunimah and Blumenthal like to claim that they can be trusted to provide accurate and factual information, one should expect that they noticed that the post they linked to was prominently identified as a previously published post from another blog, and that they checked out the provided link to the original. This link leads to a much longer piece entitled “No Dams in the Negev? 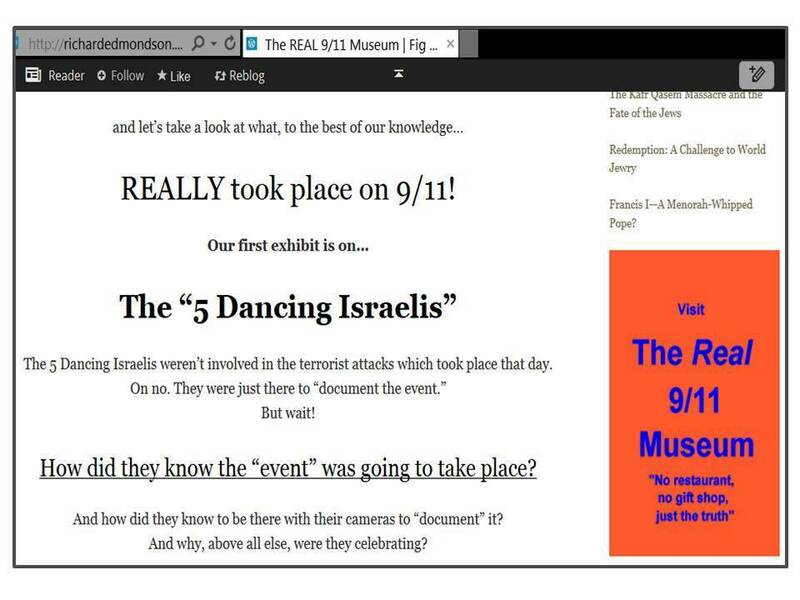 Anatomy of a Hasbara Swarm” published in January 2014 on a blog by a certain Richard Edmondson who proudly displays his 9/11 conspiracy theories in a banner at the blog’s side bar. A few additional minutes of browsing through the blog’s offerings reveal a cesspool of anti-Jewish bigotry, including a post suggesting that the deadly attack on the kosher supermarket in Paris in January was a “false flag” operation designed to motivate French Jews to immigrate to Israel; there is also warm praise for a fellow Jew-hater who often cross-posts Edmondson’s vile output under the label “Jewish Matters,” and a quick Google search shows Edmondson featured as a “columnist” on Veterans Today, another website where antisemitic conspiracy theories are popular. The promotion of Edmondson’s post by “The Palestine Project” and prominent activists like Abunimah and Blumenthal is just another example illustrating an argument I have often made: “pro-Palestinian” antisemitism is not a bug, but a feature, because when your agenda is demonizing the world’s only Jewish state as too evil to be allowed to exist, you will inevitably end up using exactly the same methods and themes as those who have demonized Jews throughout the centuries. First published at my JPost blog on 03/10/2015. 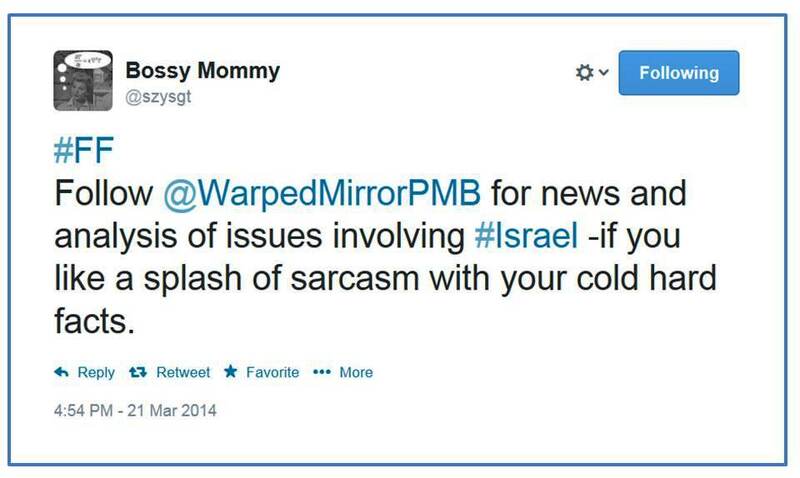 This entry was posted in JPost and tagged Ali Abunimah, antisemitism, Gaza, Max Blumenthal. Bookmark the permalink. Was there not a Richard Edmondson in the National Front? Was (if the same person) the NF’s supposed intellectual, as he had a degree in something or other. Might even have been Law.